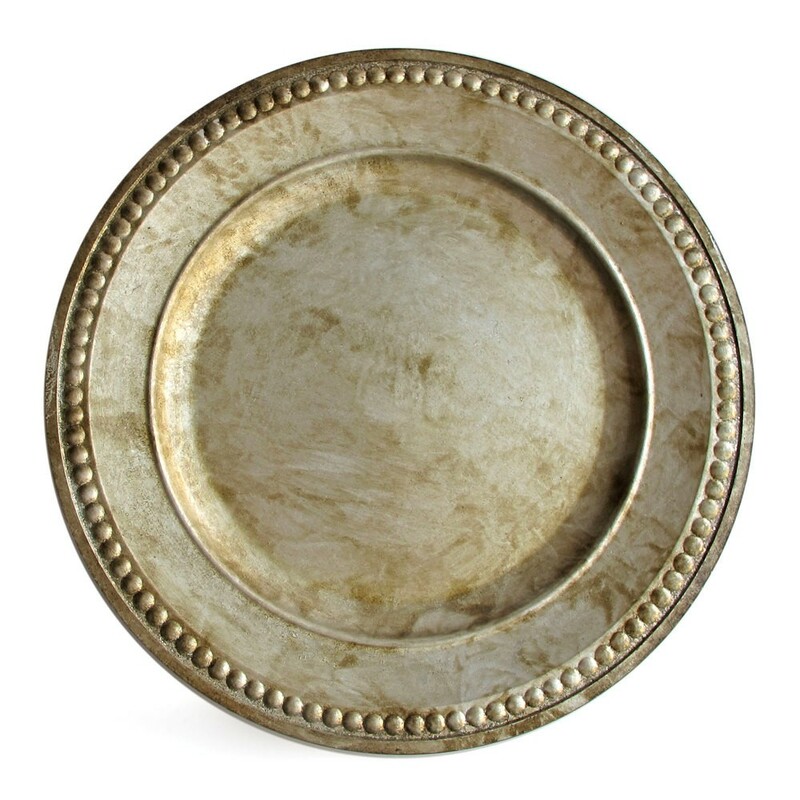 ChargeIt by Jay Silver Beaded Antique Charger Plate 14"
Home > Products > ChargeIt by Jay Silver Beaded Antique Charger Plate 14"
Add sparkle and shine to your table setting with the ChargeIt by Jay Beaded Antique Silver Charger Plate 14". Accented with a beaded rim, this charger plate beautifully frames standard-size dinner plates, platters, and bowls perfect for fine dining. Thanks to its antique silver hue, this charger easily complements any setting and will look great when paired with any upscale dinnerware. Made from premium quality polypropylene, this charger plate boasts superior craftsmanship and unbeatable durability. To keep this charger plate in excellent condition, hand washing is highly recommended.